The Pathans are more numerous than the Mughals, and are chiefly to be found in the Uttar Machipura Tahsil, where Pathan colonies have from time to time been founded. The most interesting colony is that of the Kuki Kheyl Afridis of Dranghaihama, who retain all the old Pathan customs, and still for the most part speak Pashtu. They wear a picturesque dress and carry swords and shields. They pride themselves on their bravery, and in the absence of a nobler foe engage the bear on foot with the sword, or spear him from their plucky little ponies. 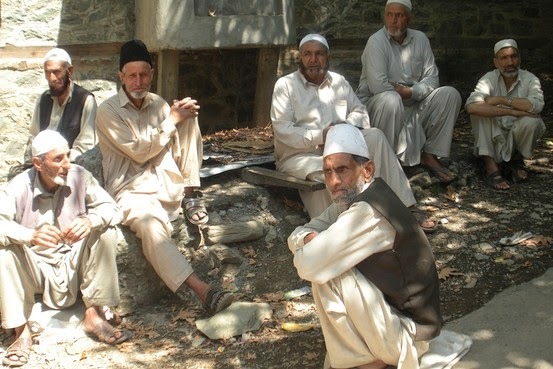 Another colony of Pathans is that of the Machipurias, but by intermarriage with Kashmiri women the Machipurias have lost most of the characteristics of the Pathan. The old men still talk Pashtu, but the younger generation resemble Kashmiris and speak their language. The Machipuria Pathans belong to the Yusufzai section, and are known as Marufkhani Pathans. The name Machipuria is erroneous, as they live in Hamal, which only adjoins Machipura. The Afridis, or Khyberis as they are called, furnish thirty-five men for service on the Gilgit road, and the Machipurias twenty five. In payment for this they hold certain villages free of revenue. The majority of the Pathans came to Kashmir in the Durrani time, but many were introduced by the Maharaja Gulab Singh, who granted them jagirs for service on the frontier. In Bhiru many villages are held by Swatis and Bonairwals. Jugokharian belongs to a number of Khattak families. 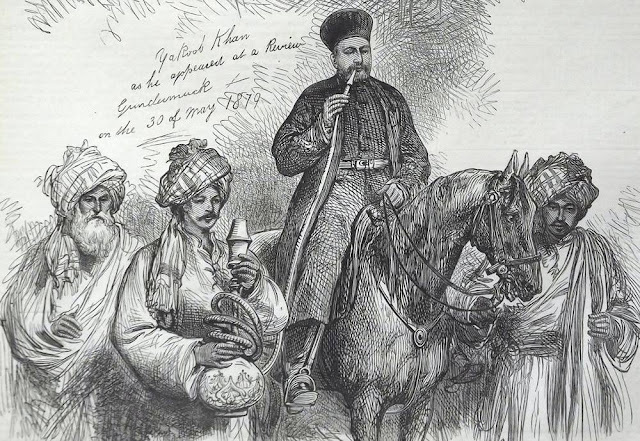 The Pathans are always given the title of Khan, and the snuff-sellers of Kashmir, who trade with Peshawar, have now assumed Khan as a Krdin name.